Juan is a founding member of the public accounting firm PAAST, P.L. He has over 30 years of experience providing accounting, attestation, business consulting, forensic accounting, litigation support and tax services to an array of clients, including automobile dealerships, broker-dealers, commerce associations, financial institutions, healthcare providers, hotels and resorts, internet companies, law firms, manufacturing companies, professional sports franchises, as well as Security Exchange Commission clients. Juan has been an integral part of planning and assisting with negotiations for mergers and acquisitions of automobile dealerships, banks, homeowners associations, real estate companies, retail store chains, social clubs, soft drink bottlers and vacation resorts. Other areas of Juan’s expertise include regulatory reporting, operational reviews, forensic accounting and auditing, expert witness testimony and litigation support. Juan has performed internal and external audits, loan and asset quality reviews, loan portfolio stress testing, bank-wide risk assessments, Bank Secrecy Act/Anti-Money Laundering compliance audits and forensic audits. Additionally, he has assisted in “de novo” registrations of financial institutions and foreign bank agencies. Regarded as an expert in the financial institutions industry, Juan has been invited to speak to certified public accountants (CPAs) and banking professionals on various topics, including internal audits and accounting standards relating to financial institutions and other operational areas. He has lectured at conferences sponsored by the American Institute of Certified Public Accountants (AICPA), Florida Institute of Certified Public Accountants (FICPA), Cuban American Certified Public Accountants Association (CACPA), and Florida International University (FIU). 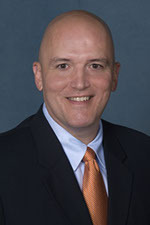 Juan frequently attends local, state and national training seminars and conferences hosted by the AICPA, FICPA, Financial Managers Society, Office of the Comptroller of the Currency, Florida Bankers Association, Florida International Bankers Association, South Florida Banking Institute, and Certified Fraud Examiner. Juan also spearheads PAAST’s annual Deposit and Lending Compliance Seminar. Prior to starting his own public accounting firm, Juan was a shareholder in the Audit and Litigation Support department of a large regional public accounting firm.